This sounds like a cliche title for a cliche article. But perhaps there are some things in your default Ubuntu installation that you may want to change. You want it to behave more smartly or just act differently. There are many reasons why you may want to do this, ranging from habit to business need to pure customization fun. All right. 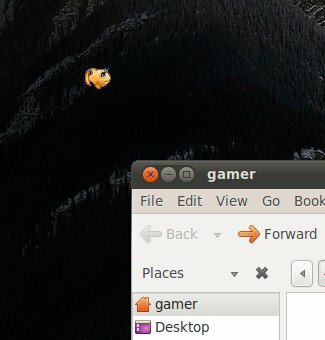 So I'm going to try to give you a handful of useful tips and tricks on how to render your Gnome and Unity based Ubuntu installations more elegant, charming and productive. We'll discuss some innocent tricks, some basic GUI tweaks, a bit of command line, a handful of fortune cookies. 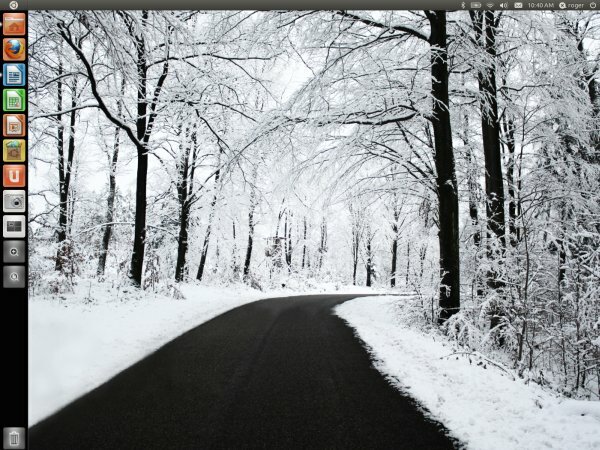 Most of the Gnome tricks will work quite well in any classic desktop of the same type. Unity tricks will work both for Natty and Ocelot. Let's begin with the classic Gnome, plus a tiny disclaimer. This article cannot possibly encompass all the little tweaks and changes you may desire. And that is definitely not my intention. Let's focus on some of the more common, more obvious things. Stuff like transparent terminal windows and code hacks, not here, not now. This is a trivial thing in KDE, but Gnome requires more tweaks, including running Compiz, as it is the easiest, most sensible way of changing your desktops. You can accomplish this by customizing the Desktop Cube plugin. Under the Appearance tab, you will be able to add new images. This is basically the gist of it, not very elegant, but works ok. Some browsers do not conform to the native Ubuntu themes, and who can blame them, given so many changes and tweaks coming and going all the time. 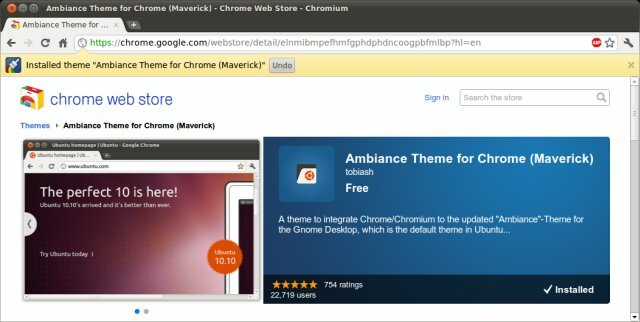 If you happen to be using Chrome or Chromium or Opera in Ubuntu, you will notice less than a perfect integration than with Firefox. This can be easily remedied. There are themes available for just this sort of task. For instance, you can choose Chrome Radiance and Chrome Ambiance themes to make the Google's browser look prettier. You will have to force the browser to use the system theme, that is. There are quite a few, including GEGL the five-legged cow, space invaders, robots and aliens and the holy book of Mozilla, mug shots of geeks in OpenOffice and LibreOffice, the aptitude moo effect in the console and more. But I want to focus on Wanda. You can activate all kinds of animals using a panel applet - or you can hit Alt + F2, which is the command launcher sort of thingie, and type in Free the fish. Shortly thereafter, your Gnome desktop will be adorned by a little fish. Click on it, and it will run away. Let it be, and it will gently pollute your desktop until you re-login into a new session or kill the panel. Stupid but cute. 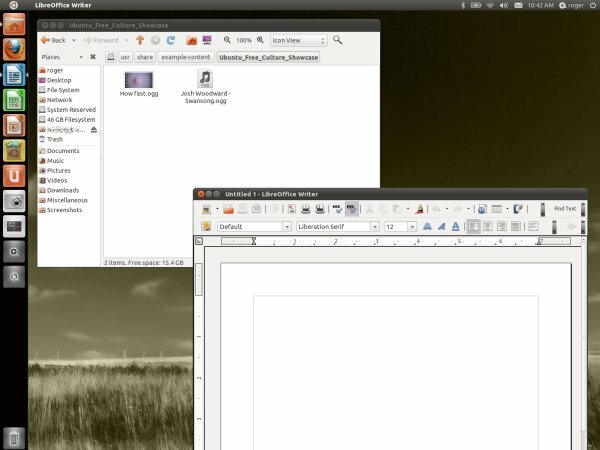 Whether you like it or not, Unity is the latest desktop environment for Ubuntu. Truth to be told, it turned out much better than I expected, with a decent blend of performance, subtle effects and an overall pleasing visual impact. Now, that does not mean things are perfect, and you might want to try a few new ideas and concepts. Unity behaves the way its developers designed it, which includes some crippling features. Perhaps you want to change them, including the Launcher hide behavior, the size of icons, transparency, and more. To this end, you will need to install the Compiz Settings Manager from the command line or using the Software Center. 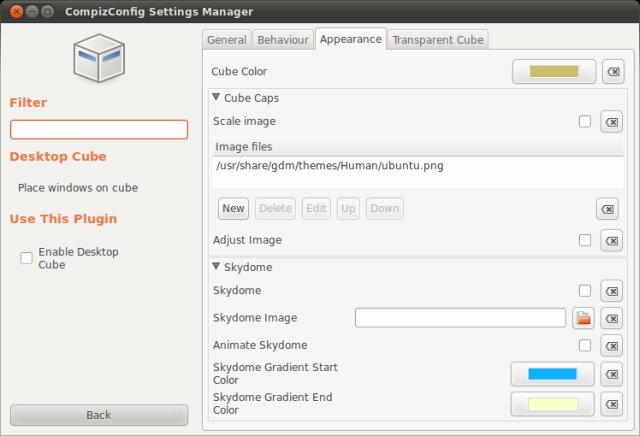 Then, once the program is installed, open it and click on the Ubuntu Unity plugin to make your customizations. 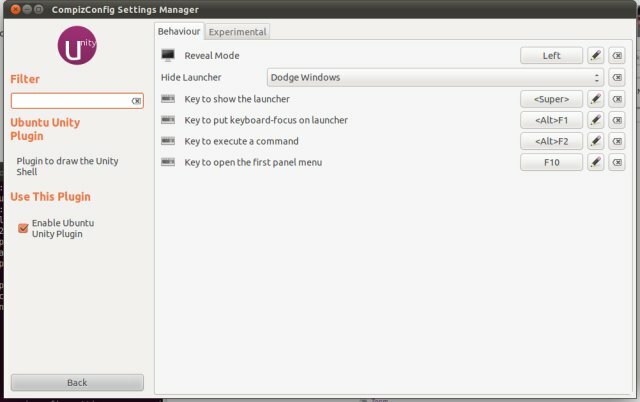 Under Behaviour, and notice the British spelling, Mark you naughty boy, you can choose where the Launcher appears, whether it hides away or dodges windows, and the special key that shows the Launcher. In the Experimental tab, you can tweak the backlight mode, change the opacity and the icon size, setup animations, and a few more things besides. 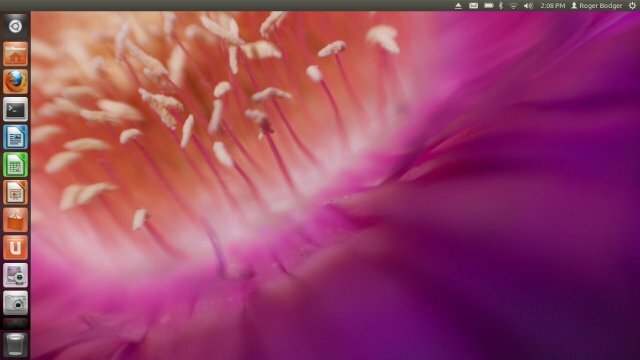 Ubuntu 11.10 also adds the ability to hide or show additional, mounted devices. The Switcher tabs allows you to tweak the window behavior, how to flip, collapse, navigate, etc. Backlighting is mostly cosmetic, but some might find the functionality useful. I guess it comes down to eye focus and how you wish the would-be changes in the system activity to reflect on the desktop. To that end, you have all kinds of backlight options and cute animations, designed to inform you there are things waiting for your attention. 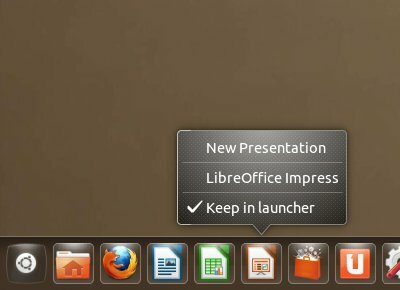 You can do this by opening a program, right-clicking on the icon, Keep in Launcher. You can also drag & drop applications from the applications menu onto the Launcher. And you can also add icons from within the Software Center, following a successful installation. Unity 2D is a lightweight version of the Unity interface, without the 3D effects. It's virtually identical to its 3D cousin, except that it tolls less resources, so you can run it on older machines or computers with non-compatible graphics cards without losing the aesthetics. 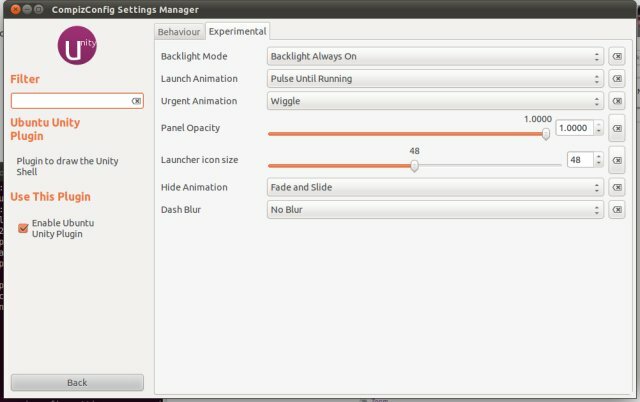 Unity 2D is not available by default in Natty, as the alternative interface is Gnome. The installation is a very simple deal, though. Just search for Unity 2D (lowercase) and install the software. On next login, choose Unity 2D from the session drop-down menu, although a more befitting name for the functionality would be the rise-up menu. Unity 2D is available by default in Ocelot, so you can enjoy the desktop right away. This is one super-hot cookie and will probably become the most important Compiz plugin in the coming years, at least until Canonical make it official or semi-official. It lets you move the Launcher from its sidebar position down to the bottom of the screen, a-la Mac, which truly transforms the Unity desktop into something almost perfect. For the time being, you have a dirty hack you can use, and it will only work on 32-bit installations, but if you want to play around a little and test the plugin, you can do that. The complete instructions on how to achieve this are available in the further reading section below. 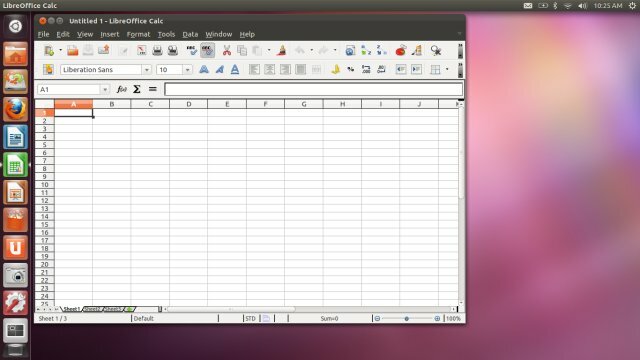 If you feel that LibreOffice is misbehaving by having its own menu, then you can force it to integrate into the system. There's a special package for just that. Install, re-login into your desktop session and enjoy. Overlay scrollbars may make sense on touchscreen devices, not on the desktop, where they look fat, clumsy and feel slow. You can remove them if you wish, gaining back the old behavior. This is done by removing two packages: overlay-scrollbar and liboverlay-scrollbar-0.1-0. Now, do note that the specific versions may change, so keep an eye on those. 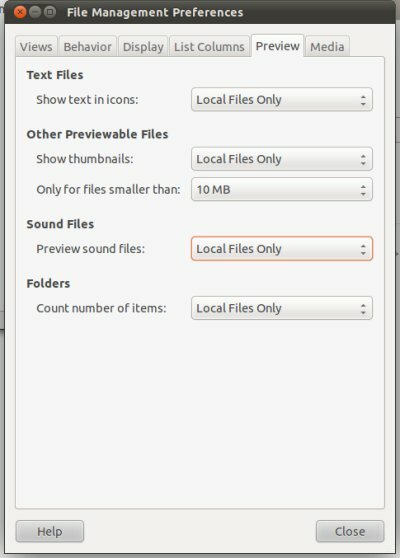 This is a feature that exists in all distributions that run the Nautilus file manager, so you will find this option in pretty much every Gnome desktop, plus Unity. What it means is, just hover your mouse cursor over a music file and wait for a few seconds until it magically starts playing. Awe your neighbors with your cool tricks. Now, we expand this article into an infinity of possibilities. Let's mention several more articles and compilations that offer great and useful advice on the same subject. 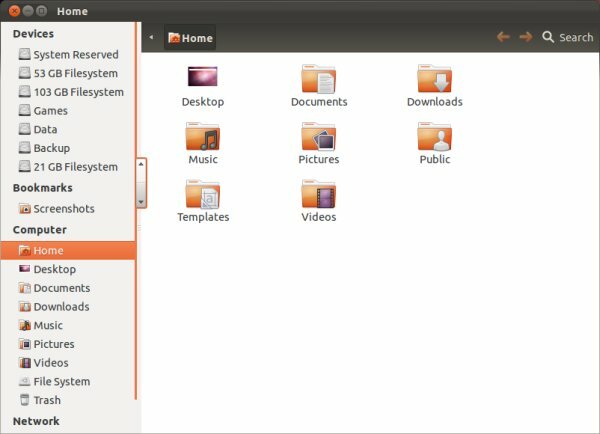 webupd8.org has a a long series of useful tutorial and tweaks designed to tame Ubuntu to your liking. Specifically, there's a very nice piece that covers a lot of stuff, including both Unity 2D, Unity 3D and even some general tweaks for the Gnome shell. Now, the hottest tutorial should be the Launcher bottom-of-the-screen article on the same site. 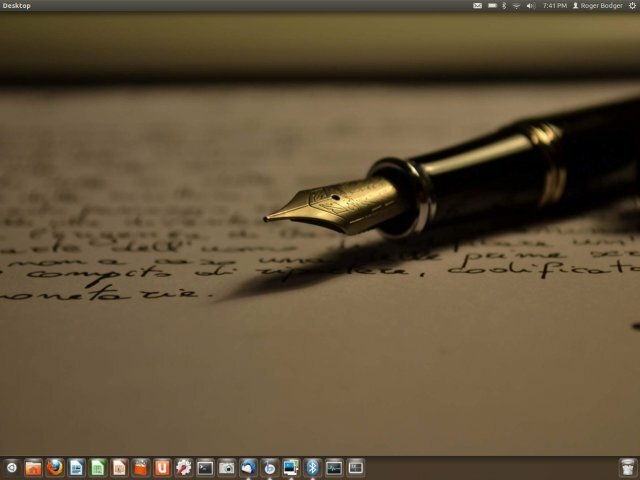 There's Ubuntu Tweak to consider, as well. And the dconf-tools package, which contain the dconf-editor, similar to gconf-editor for the classic Gnome desktop. 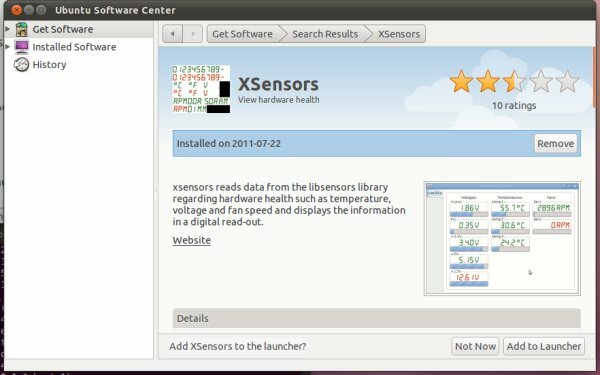 Here's another great, comprehensive resource: Tips and Tricks for Ubuntu After Installation. Last but not the least, let's not forget my own ten-commandment style pseudo-tweaking guide; some light humor, that's all. 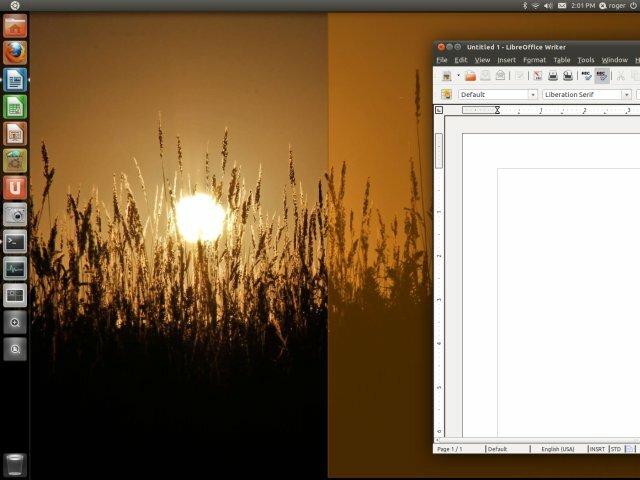 There are a billion guides telling you what to do after installing Ubuntu; most are a copy & paste efforts, other nothing more than a personal vision, some good, some bad, some useless. All right, enjoy. There you go. This article won't make you rich or smart or a Ubuntu ninja. And it's not the biggest or most comprehensive of guides you've seen on the same subject. But it is fairly easy to follow, you need not dabble in the command line much and the risks of ruining your machine are not high, although not impossible. The referenced articles should provide you with even more useful stuff to spend your weekend avoiding friends and family. If you have any other suggestions or ideas, feel free to share them. This article is a small, humble compilation, but if you feel it merits more entries, then do send them. But remember, they must be simple and elegant and practical. And we call it a day.